Sundance is a SE Calgary community that has a private lake for residents, schools, shopping and many parks. The community is also easy to access and close to transit options, including LRT stations. Sundance real estate features single-family homes ranging from small to big. Sundance Lake (located in the centre of the community) is surrounded by many beautiful houses. View all the current Sundance homes for sale here, or look below for more information on Sundance real estate. Sundance is one of Calgary’s prestigious lake communities. It is located just north of Highway 22x, in between Macleod Trail and the large Fish Creek Provincial Park. Right in the middle of the community is Sundance Lake, a private lake for Sundance residents that has boating, fishing, tennis courts, basketball court and a wading pool. Access into Sundance is easy, whether off Macleod Trail or Highway 22x. Calgary Transit also serves the community with bus routes that connect to the nearby Shawnessy LRT station. The Sundance real estate market has single-family homes. They range in price and style, and some properties back directly onto the lake. Sundance is surrounded by other popular lake communities – Midnapore to the north and Chaparral to the south. Across Macleod Trail is the community of Shawnessy. There is a shopping plaza located in Sundance, and across Macleod Trail is the large Shawnessy Shopping Centre. Sundance is home to a few schools, including Sundance Elementary School, MidSun Junior High, Centennial High School and Father James Whelihan School. 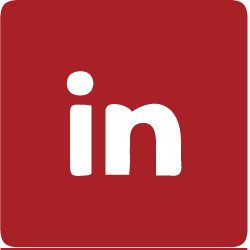 Along with Midnapore, there is an active community association. 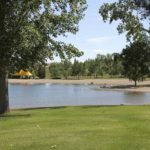 In addition to a private lake right within the community, Sundance is close to Fish Creek Park and Sikome Lake, a public swimming spot. Pathways connect Sundance to the large park. Contact us for more information about Sundance if you are considering buying or selling a home in the lake community.